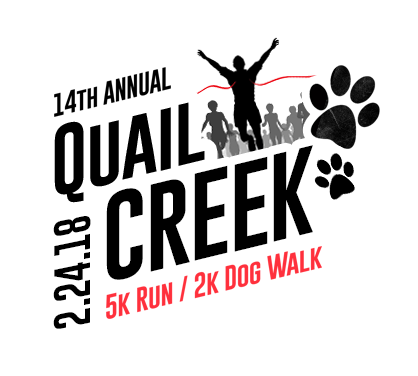 Nestled in the foothills of the Santa Rita Mountains just 25 minutes south of Tucson, the Quail Creek Resort Community invites you to participate in the 5K Run, 5K Fun Walk or 2K Dog Walk. Deadline to register in order to GAURENTEE yourself a T-Shirt is February 15, 2017. Register today to get an awesome event shirt. If you register before February 15, 2018 you will receive a T-shirt. If you register after that date, you are not guarenteed a T-shirt and shirts will be handed out after the event is complete.